I hope everyone is enjoying the HOP….I have a lot of people commenting…so cool…Just a little tease…i found more than 10 charms, so I will have lots to give away! 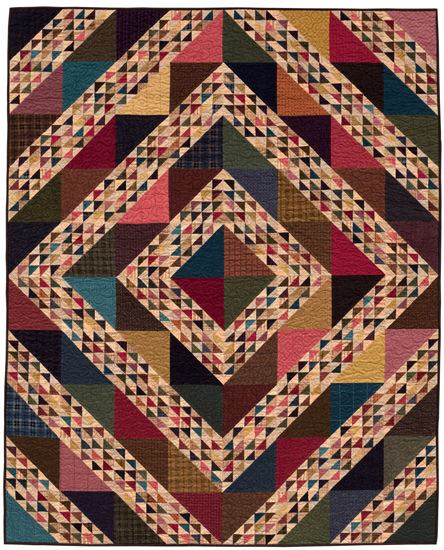 I am staying home designing quilts for Fall market from my new line “Snowman Gatherings” i will give you some peeks later…. Nick is in PA at the Quiltfest! He wanted me to send out a post letting you all know he is going to be there and you are to come visit!!! Booth 522..Click Here for info: http://quiltfest.com/activities.asp?id=4 10-6 Thursday- Sunday! Look for “our” red/green quilt in this issue of Fons & Porter out in early October…I have to admit I am a little bummed “our” quilt did not make the cover….I have never had cover…would have been nice….I don’t quite get why they put a non-holiday table runner on the cover of the Christmas issue???? but oh well, thats the way it goes…Linda (the quilting goddess) is very upset, I am worried I might have to drive to MI and have an intervention…every text i get she brings it up! !…Her quilting deserved to be on the cover….that’s all I’m saying…all for now…I know you are all busy blog hopping…Good Luck to all! Previous Post My home town…Moda Designer Blog Post.. I sooooooooooooo agree LIsa. I have already purchased 6 yards of each fabric and praying it’s enough to do the red/green quilt. And Linda’s work is so phenominal I pinned her blog on my pinterest. You both deserve major recognition with such a beautiful piece of work! Can’t wait for pattern. 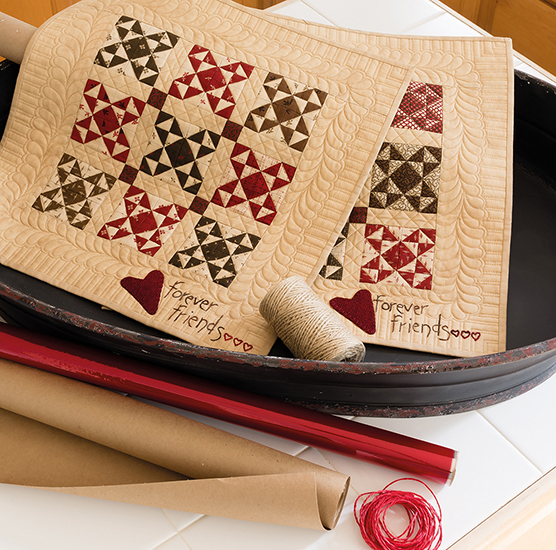 Can’t wait to see your quilt in the magazine when it hits the stands! I am sorry it didn’t make the cover – your stuff is gorgeous! Can’t wait to see snowman gatherings! Sounds CUTE! Love all your little prints – they are great! I sure hope to get to a quilt show some day and see you guys in person! I wish I lived closer! Well, the runner on the cover of the magazine wouldn’t grab my attention…but your name does grab my attention (love your patterns & designs!) so I’m going to be watching for this magazine in order to get your pattern! My hometown is…well, I don’t actually know how to answer that, because like most people I know, I have lived in a lot of different places. I currently live in Dousman, a small town between Milwaukee and Madison. I have lived here for 18 years now, and I know I consider it my “hometown” because this is where I feel comfortable, and alive, and where my heart is. It’s all about the people- the neighbors, the friends you meet at the local spots, and the relationships you build. Primitive Gatherings is a wonderful hometown shop. 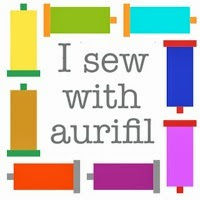 It is a definite destination for me and and my quilting soul mates. “Going to Menasha” guarantees an awesome day, with friends, fun and incredible inspiration. Thank you Lisa, and your amazing, talented staff, for making our trips to Menasha memorable, fun, and awe-inspiring. We know that we will always have an incredible time browsing the shop and coming home with treasures. Wishing you all the best – and feeling so blessed to have an amazing shop like yours in our back yard!! Thanks, Lisa, for the heads-up on which issue. I can’t wait to see the quilt! 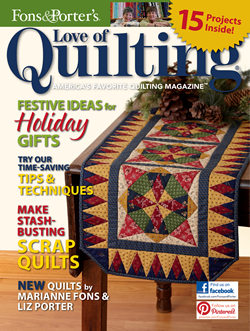 I so agree with your sentiments of there not being a holiday quilt on the cover! I agree that the quilt far outshines a table runner. Your work is awesome and your quilter is superb! I am looking forward to seeing that special quilt in the magazine. I liked the table runner it has a ekletet christmas look witch is my look, No matchy matchy for me. Put a Santa on it and you’ve got christmas. I’m disappointed you’re not on the cover. Nothing Fons & Porter does surprises me anymore. Once they started selling to JoAnn’s I dropped them altogether. I think it’s all about supporting small business, especially quilt shops. Just glancing at the cover, I would never have guessed it was a holiday issue. Once I read your post, I read the cover! A Christmas issue should be showing a Christmas project. Possibly the politically correctness wave has taken over. I love my home town. I live in the country. I have signed up for your class in Brigham City, Ut in 2013. I agree with Lori & Kris. Your own quarterly magazine…sign me up! Lisa, your customers want more of you & your beautiful designs. We follow you where ever you go…you are a “diamond in the rough”. So glad you had a booth at the Oaks, PA show. I live about 10 minutes from the venue, but had to wait until after work to go. I got there around 3:30, and the crowds had gotten on the busses and left. I was glad about that, when I heard that your booth was packed ALL DAY. I had the booth and great customer service all to myself! It was so nice to see Nick. Haven’t see you since 2003, in Houston, and he remembered me! How cool! And I don’t think it was BS…he remembered! 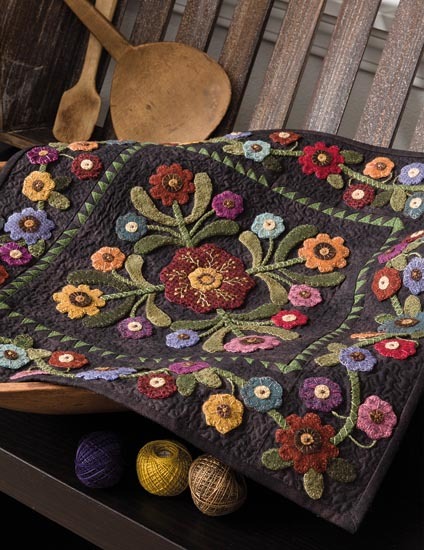 We lingered a long time, trying to make decisions, and I finally decided on the Crazy Quilt style table mat (I have the kit upstairs and can’t see the real name)…IT IS GORGEOUS!!!!!!! I recognized some of the flowers from your BOW last year. And, I bought the Fall Table mat with the owls and squirrels, etc. I walked out of the show feeling like a kid who just bought her first prom gown!!!!!!!! Hope you did well and will come back to PA again! It may explain a lot of things should you shield circumspectly any time along with precisely how your current competing money their own lazy location. Aside from some apparent advantages, online Sports gambling In usa likewise have possibilities like charity gambling. parts because of the stop associated with 08. For them, �winners are their ambassadors to the earth, as they have express.